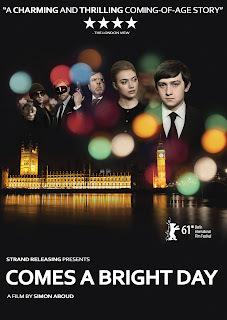 In the new British dramedy by Simon Aboud, “Comes a Bright Day”, Sam Smith (Craig Roberts) plays a baby-faced bellboy with business aspirations to buy and run a restaurant. Maybe he ought to go on “The Apprentice” or “Shark Tank” (if these reality shows are have counterparts the UK) as he seeks investors. He also seeks girlfriends, and fears rejection. Sam meets Mary (Iomgen Poots) at a café and follows her back to the jewelry story, Clara. Maybe he’ll impress her with something. But then the store is held up by brutal armed thieves (Kevin McKidd and Josef Altin), who take the couple hostage while shooting police officers who try to intervene. Sam’s own gumption will be tested. The director says that his film deals with how people can develop a relationship when facing a dangerous threat together. Personally, I find the idea troubling. I couldn’t have dealt with this. In Nov. 2012, there really was a smash-and-grab robbery in north London from bicyclists going onto a shopping mall's upper levels to get to a jewelry store. 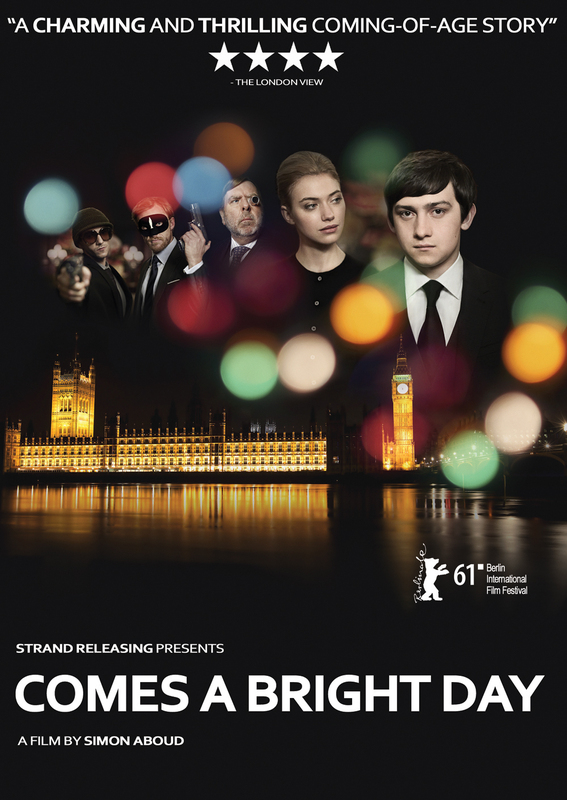 The pre-book from Strand is Oct. 16, the street date for the DVD is Nov. 13. The film reminds me a little bit of "Inside Man" (2006) with Jodie Foster.